And we're right back around to the freshness of a brand-new week, not to mention, a brand-new month!! Here we go again ... zawhooshing through another year! 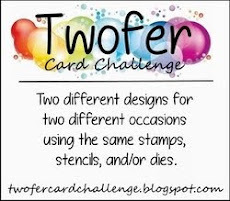 I don't have a card today, just so you know in case you want to click right off, but I should have one for tomorrow. Life has kept me busy away from the Playhouse the last few days. I met my former work friends for lunch on Thursday that ended up lasting six hours! Six women, six hours, that's not really long enough when you think about it! Then Friday I had an unexpected occasion to help out a friend that took several hours. 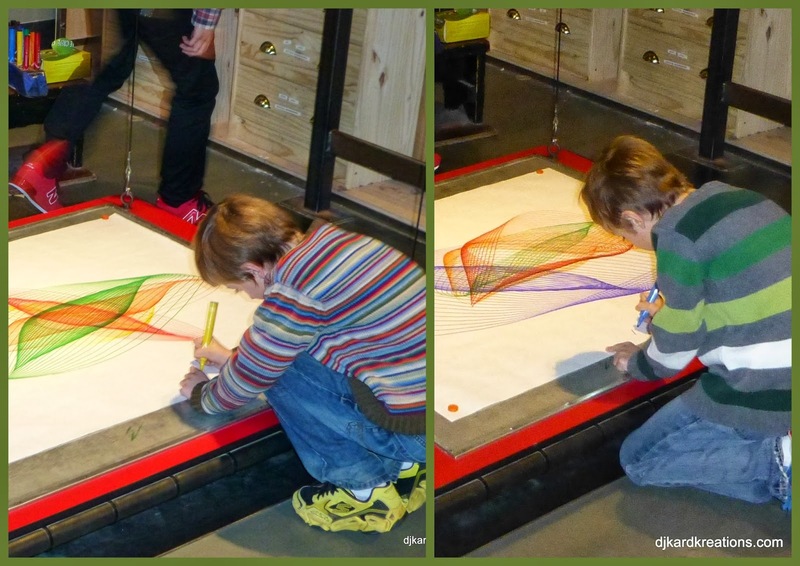 And on Saturday we had the unexpected pleasure of joining the kidlets for a day in the City at the Exploratorium. I didn't want you to think the hamster pummeled me to death, so I thought I would pop in with some photos of our Saturday outing, which was captured on film ~ oh, hahaha! I said that to a friend recently and we had a good laugh. Film! How old am I?? The rain clouds parted to reveal a glorious day! The entrance to the Exploratorium. The twins are peeking over the circle rim on the left. reflected in the glass behind me. Very arty! Family fun. The Exploratorium is just what the name implies. so it's very special for all of us. Autographing their artwork from the pendulum art machine. A sculpture made completely from parts of DOLLS! You're thinking, "Why didn't I think of that?" aren't you?! In between bouts of much-needed rain, I had a lovely visitor come to the door of the Playhouse! 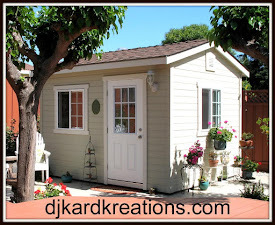 It's my pleasure to introduce you to Petra of Creative Cards. Petra lives in South Africa and she participates in many wonderful hobbies besides her card artistry: running, scrapbooking, cooking, baking, sewing, and knitting! I mean, WOW, I need a nap after just typing that! I think you will enjoy your visits to Petra and I know she will appreciate the encouragement you give her! Welcome, Petra, and thank you for joining us! This week promises to be another busy one, and I'm really sorry if I haven't been around to see you. I hope to be able to do that soon!! And there's my friend Petra... she makes awesome cards! Love her! Looks like a really fun place for the boys, apart from that doll sculpture - very freaky! 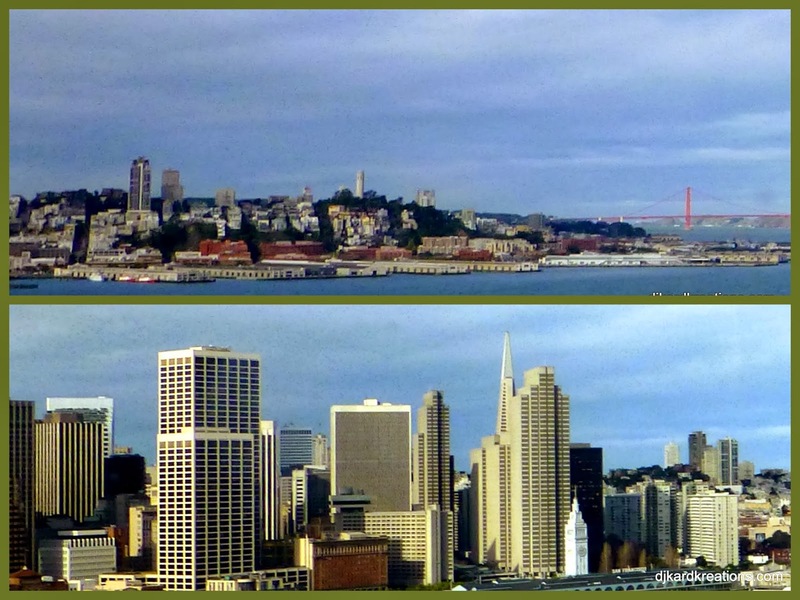 Lovely pix - I remember the fabulous view from the top of the Coit Tower. Six women and six hours! Know what you mean - just spent a crafting weekend with six women (and one man!!!) and THAT wasn't long enough either! What a great place to visit - it looks and sounds as if you had great fun. Great photos of family fun! And that's more important than making a card any day! That looks like fun! And you got a kiss from the Mister! Who says love is for younguns ey?!! Your day with the ladies sounds like a lot of fun and bet you made some good memories. It sounds like you have been on a wonderful adventure! LOVE all of the photos and time with the kidlets over crafting really is time well spent. We are sitting today with absoluely gorgeous sunshine and a balmy -5F. I am sorry but this cold is for the birds, who I wish would come home! Have a great week my friend. We spent a full week in Frisco and loved the city. For me or the wife to say that is special since we are both country folk. Neither of us like cities. We didn't see the Exploratorium but we saw all of the other places. Thanks for the memory flash back. Great photos Darnell, loved the glimpse of the Golden Gate bridge and a lovely one of you and "mister!" Thanks for sharing the pictures. 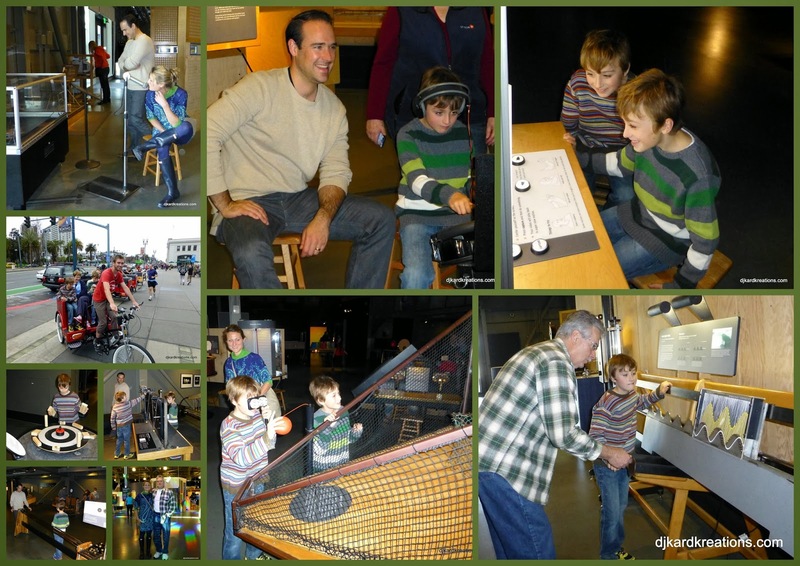 It looks like you all had fun at the Exploratorium. Love the twins pendulum art! Thanks for the fun pictures! Love the one of you and your Mister!!! What a fun post of your weekend ventures with your family! Looks like a most excellent time was had by all; and the photo of Mister giving you a kiss...soooo sweet! Lots of love in your midst, Darnell and that is just awesome x a zillion! Great photo's Darnell and looks like you had a fabulous time. Not sure about the doll sculpture, looks a bit scary to me, but a very novel idea. Oh what a beautiful day. I love San Francisco. Hubs and I were there 3 years ago. Time to make another trek I think! Hi Dippy - just loved looking at the photos of your wonderful family day out. I am so jealous of those wonderful works of art done by the twins......would love to have a go at that wonderful machine. Fab photo of you and Mister!!! So glad my friend Petra stopped by - she's such a generous crafter. You really have been a 'busy girl'! Six girls in six hours? Yikes! Must have been a blast!!! Sounds like a fun place - my kids would have loved it! TFS these great photos of your fun times! As for that sculpture - who knew a barbie doll's a$$ would make such a nice chin?!?! ROFLMAO!! Awwww, sweet, special moments with your fam are *the* best!!! And no way, now how is six hours enough to spend with your friends...can never have enough of those good times!!! Fabulous pictures Darnell, the San Francisco museum with the dolls parts is certainly interesting. Awesome pics Darnell! You truly are blessed with an amazing family...and a Mister who obviously loves you to pieces!!! You have the most beautiful family Darnell! Thank You for sharing these wonderful pictures with us! What great photos to remind you of a lovely day Darnelle, and I love how you grouped them. 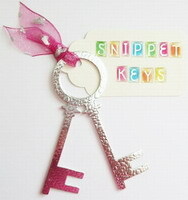 Are you going to start scrapbooking? The place you visited looks a lot like the Children' Science museum that we used to take our little ones to back in the day, and we used to have lots of fun there too! It looks like you had a great time with the boys. I love going places like that with the grands. Great picture of you and hubby. That photo of you and your husband reflected in the mirror.widow behind you is so cool. Combinded with the twinks beside you...it is wonderful! So glad the clouds cleared for some sunshine! Looks like you had a fun day at play. I, too, went to a museum over the weekend. It's nice to get out again in the good weather. I didn't even catch the "film" until you mentioned age. Yikes! What does that mean for me? I want to go to the Exploratorium and explore. It looks like scads of fun. What a sweet photo of you and the mister. That doll though... that's a thing of nightmares. All we need is a clown to go with it. I love your photos Darnell, so lovely to see other people's cities. 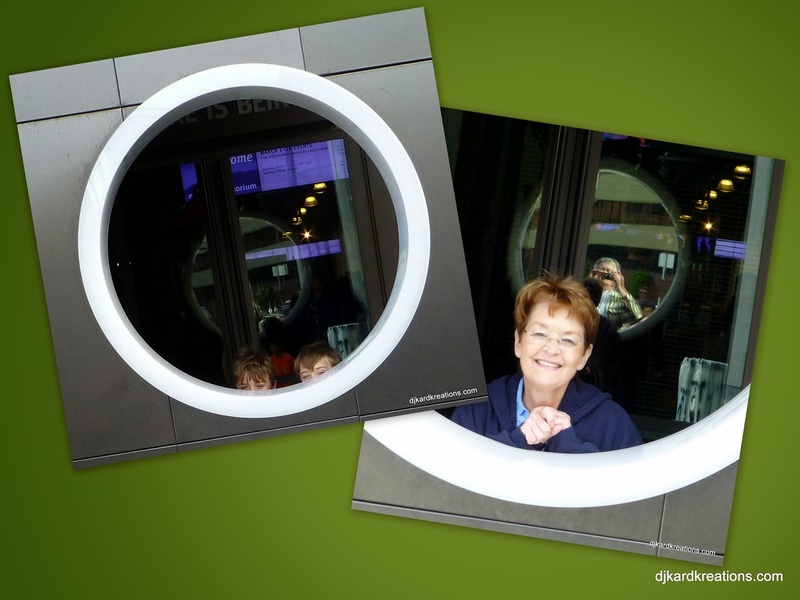 Just love the one of you in the round window and of course the one with your fella is Gorg!! PS Congrats on being selected at MM. Loved the card. What great family pics...you ALL look adorable. As My hubby, said in a post above me...these pictures brought back some fabulous memories for us...I still can't believe we managed to get there for a vacation. It was our dream vacation for sure. Looks like you had a wonderful family day! So glad the weather was even nice, but I do hope you get more rain to help with the drought--just not all at once! Sweet time with family- how blessed you are! When my bestie and I frequent our Thai place in Pittsburgh...the owner knows it will be alt least 3 hours for our dinner....then another hour sitting out front in one of our cars. One night we were there for 6 hours! And we were only two women! Beautiful photos Darnell! It looks like you all had a fabulous time! That face make from doll parts is pretty creepy looking. lol And I just loved the last pic of you and the hubby, so cute and sweet! Hugs! LOVE the photos, especially the heads made from doll parts and the one of you and the Mister! Looks like such a fun way to spend the day...love all your photos! Hi, Darnell!! I never got to see this post of yours!!! ...and thank you so very, very much for these welcoming words, my friend!! That is sooo kind of you!! I have just realised that I have missed your posts 'cause I have joined as a member, but I use bloglovin to follow blogs nowadays!! I have set the matter right by joining with bloglovin now - don't want to miss any of your posts in future!!! 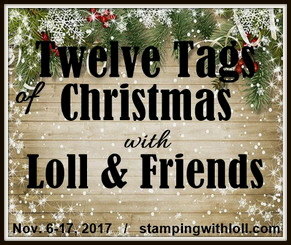 Your cards are so lovely and I love your posts - so full of fun and laughter!! ...and so kind of you to welcome each newcomer to your blog!! You are a star! !